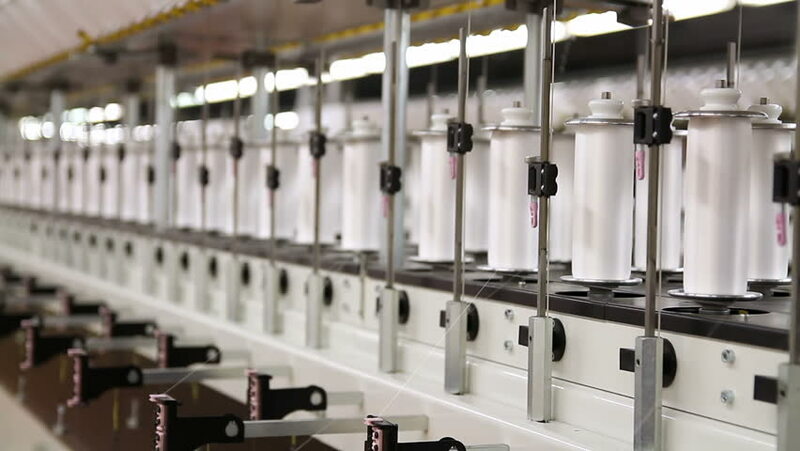 Cotton yarn production in a textile factory. Textile fabric manufacturing machines in work. Textile manufacturing of synthetic fibers. hd00:18Wine factory interior with a lot of machines. 4k00:14Dairy production, milk filling process in paper packaging, conveyor, automatic production line.